I had to take a closer look after Mike Garrett posted a random snap of the car on Speedhunters. 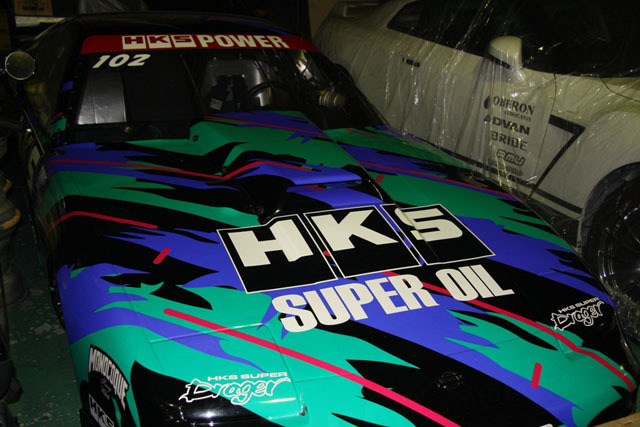 But this is the real 180SX dragster from HKS that is getting something done at Garage Saurus, I wonder what? looks like a real monster any more pictures?